Drink your Marvel Comics! 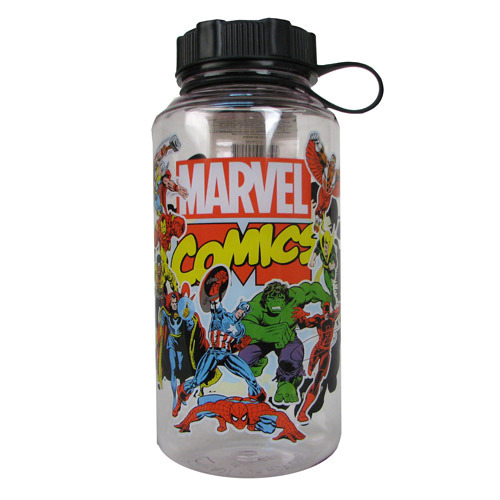 Fan-favorite heroes from Marvel Comics got together for the picture on this large Marvel Comics Group Shot 20 Oz. Plastic Water Bottle. Aren't you glad they did? Hand wash only. Not dishwasher safe. Do not microwave. For ages 14 and up.